A very flexible based recipe for any veggie you want to roast! I’ve also had major success with cauliflower, regular broccoli, and potatoes. Preheat oven to 400°F and prepare baking sheet with greased foil or parchment (I use parchment). 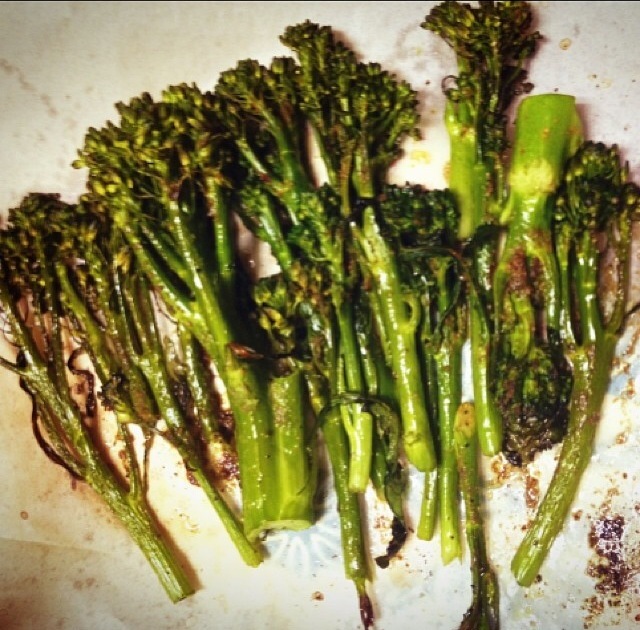 Toss fresh broccolini with spices, salt, pepper and oil. Lay flat on baking sheet and place in oven for 30 or so minutes, turning 1 to 2 times while baking to make them nice and crisp. While I love eating these plain, they are also my favorite side for veggie burgers and super delicious dipped in ketchup and mustard! Note: increase or decrease spice amounts to your preference.